It seems as Toshiba has manufactured the device after working a lot on its design and specifications and has introduced a beast to the business world with Core i7-6500U and the 512 GB SSD. The manufacturer has not missed even a single feature that users might not find in the notebook. It is capable of performing all the tasks that the business clients need to perform on a daily basis. The only downfall is the lower SoC's Turbo utilization which makes the processor performs below expectations during simple load. On the other hand, the input devices in the notebook are not that great and are somewhat spongy. Rivals including Latitude, EliteBook and ThinkPad, have better input devices in comparison. For the keyboard part, we will rather say that Toshiba Portégé Z30-C-138 is a device that is best for the users with sensitive nature and has a habit of hitting each key very carefully while typing. Toshiba has launched the Portégé Z30-C as the successor of the Z30-B model which comes equipped with a Broadwell processor. It is a business laptop that has some features similar to Z30-B with a bit of modification being done by Toshiba to make it a successor to the latter model. 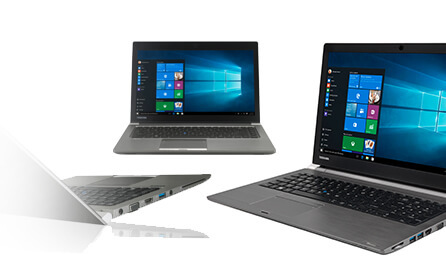 The premium range business laptop is available at $2252, which is not so affordable, so Toshiba Portégé Z30-C-138 has been designed focusing on premium range business clients. It comes equipped with numerous outstanding features including a docking port, LTE modem, and TPM. 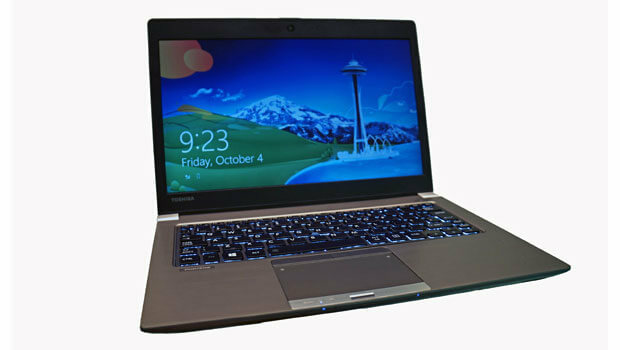 In today’s article, we will give Toshiba Portégé Z30-C-138 review. Before we move ahead, we want you to take a look at its pros and cons. Toshiba Portégé Z30-C-138 holds high-end features that are suitable for meeting the requirements of business persons. It is not a cup of tea of average users as they will find the laptop a bit pricey and unsatisfactory. 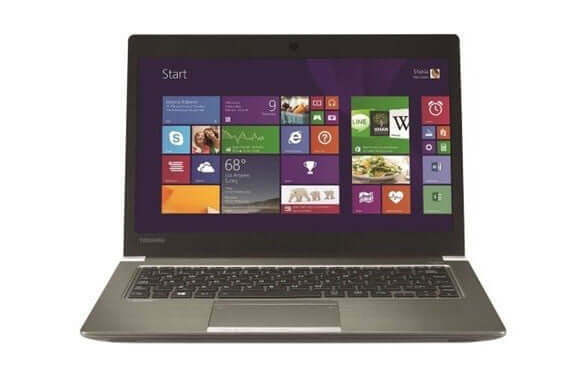 Toshiba Portégé Z30-Cis an attractive sleek ultrabook which has a weight of 2.65 pounds. The notebook manages to keep itself at 0.7 inches when it is closed which is pretty much slim and marvelous to hold in your hands. The Z30 is available in Steel grey metallic color with magnesium chassis and matt black finish which gives it a feel like plastic. It is a thin notebook with hollow sounding surfaces and a flexible display. Being a business laptop, Toshiba has provided a lot of connectivity ports. We can say the laptop has everything that a business laptop should have in terms of connectivity. Z30-C-138 comes equipped with an LTE modem and fingerprint scanner. Even the old VGA dSub still exists here. Toshiba has placed Hi-Speed Port Replicator III on the underside of the notebook. The keys on the notebook are soft and sturdy, and users need not make efforts while typing over the keyboard. The only negative part is the key surface that makes the letter rebounds a bit in its place. Toshiba has not clearly defined the pressure points, and therefore the overall performance of the keyboard of Toshiba Portégé Z30-C-138 is a bit spongy. Talking about the touchpad, it features a TrackPoint and ClickPad. There are no mouse keys on the touchpad, and two keys present at the touchpad have disappointingly short key drop. Still the overall experience of the touchpad is fair, and these devices are easy to use with a smooth-running pressure point. Compared to the rivals, ThinkPad T460s and Latitude E7470 have better input devices. The Toshiba Portégé Z30-C-138 comes equipped with a Full HD IPS screen with a bright and matte finish. Equipped with antiglare technology, Portege Z30 has 1,366 x 768p resolution which is pretty much less than the 1080p which is a negative aspect to be considered. The notebook has a 13.3-inch display and with 1,366 x 768p resolution, watching videos will not be that much great as it is expected from a laptop in this range. Though it is not the worst we could imagine, it could have been better. Toshiba does not install brightness sensors in its notebooks, but still, everything looks premium regarding the display part. Toshiba has really worked hard on the contrast and DeltaE as they are in the upper midfield. The only worst part apart from the resolution of the screen is the display’s grayscale level reproduction which is pretty much poor as compared to its rivals in the market. Toshiba Portégé Z30-C-138 comes equipped with Intel 6th generation Core i7-6500U processor clocked up to 2.50 GHz. The processor uses Intel® Turbo Boost Technology 2.0. It has a 512 GB Solid State Drive and has an M.2 SATA interface. With 16 GB of DDR3 RAM (2x 8 GB), the business notebook is capable of providing unmatched performance. The notebook has Intel® HD Graphics 520 GPU which has shared memory type. This time Toshiba has used Lithium polymer, four cell technology in its battery which is capable of providing a battery backup of up to 11h. Toshiba Portégé Z30-C-138 comes with an autosensing AC adapter to charge the battery of the laptop. It provides an output voltage of 19 V and output current of 2.37 A. To measure the performance of the Z30-C-138, we ran a performance test on the business laptop against Samsung’s SM951. Overall system performance of the Z30-C-138 was pretty much fast due to its 512GB SSD, but Samsung’s SM951 was 8% more efficient in terms of performance. The graphics card of the Z30-C-138 performed pretty much well in the test against the competitor. The notebook has an HD 520 which is furnished with dual-channel, and that was the specific reason that why the GPU performed great when tested against many of the latest games titles including some of the AAA titles as well. Not only videos and media played on the Z30-C-138 were fantastic, but the video games also benefitted from the GPU unit which we rarely see in other business laptops. During the tests, we also checked for the System Noise in the Toshiba Portégé Z30-C-138. The Z30-C has only two fan states; either it will be loud or just quite. When we tested the notebook for System noise on full load, we noticed that it was quiet and the fan of the Z30-C was disabled. The sound produced by the Toshiba Portégé Z30-C-138 is of premium quality. The speakers produce a thin sound that will mesmerize your ears. The sound emitted from the speakers does not contain differentiated trebles either. Listening to audio or watching movies on this PC is of great experience. You can even do some professional music stuff with its dual-array microphone which has the capability to record each and every voice clearly. You can even change their positions of the dual-array microphone as per the requirement. The Toshiba Portégé Z30-C-138 has average power consumption as compared to the rivals. The notebook consumes much more power at medium load while at the full load the Z30-C consumes less power. The reason behind the whole thing can be CPU throttling. Talking about the Toshiba Portégé Z30-C-138 battery life, the runtime of the notebook is not as efficient as it should be. When the device was tested for runtime against EliteBook 840 G3 and the TravelMate P645-S, both of them performed pretty much better in terms of battery backup than the Z30-C. The battery runtime of the notebook was not even close to the specified 11 hours that the manufacturer claims. Overall we found Toshiba Portégé Z30-C-138 is the best fit for the clients in the business world. The Z30-C is exceptionally lightweight and has a premium design which will for sure give a premium feel to the business clients. Though it’s a bit on the pricier side, paying $2252 will let you have better connectivity options including LTE and docking. The price is worth for the extra security features that you will get with the notebook including TPM and fingerprint scanner. In the tests that we performed over the notebook, it showed positive results in some aspects against Samsung’s SM951, while in other aspects its performance was on the negative side. 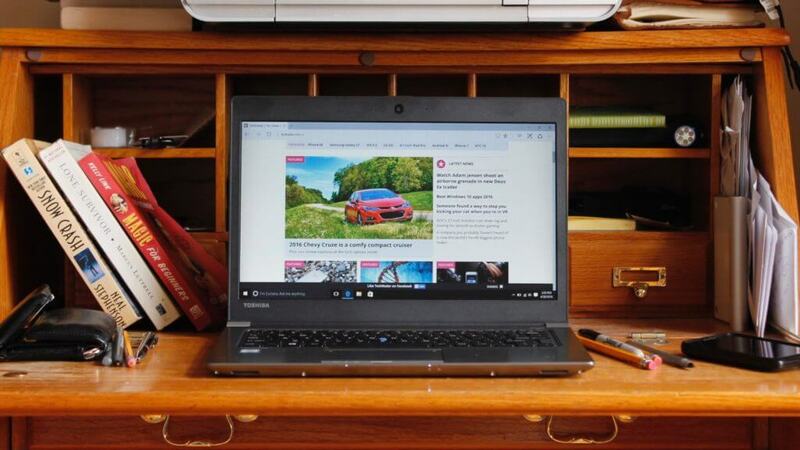 Toshiba’s Portégé Z30-C-138 has a list of rivals in the business world including Lenovo’s ThinkPad T460s, Dell’s Latitude 14 E7470 and HP’s EliteBook 840 G3. The said notebooks have similar specifications and these stands close to the Z30 in terms of performance and design. HP EliteBook 840 G3 is available in the market with WQHD and not FHD. It seems as Toshiba has manufactured the device after working a lot on its design and specifications and has introduced a beast to the business world with Core i7-6500U and the 512 GB SSD. The manufacturer has not missed even a single feature that users might not find in the notebook. It is capable of performing all the tasks that the business clients need to perform on a daily basis. The only downfall is the lower SoC's Turbo utilization which makes the processor performs below expectations during simple load. On the other hand, the input devices in the notebook are not that great and are somewhat spongy. Rivals including Latitude, EliteBook and ThinkPad, have better input devices in comparison. For the keyboard part, we will rather say that Toshiba Portégé Z30-C-138 is a device that is best for the users with sensitive nature and has a habit of hitting each key very carefully while typing.